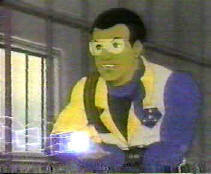 The animated television show, Bionic Six, featured a family of super-powered humans that were enhanced with Bionics. They were all stronger and faster than normal humans when their bionics were active but each also had his or her own special abilities. The family was multi-racial but all the non-white members were actually adopted. The sole Black member of the family was named I.Q. Not only was he stronger than any other member of the team but he was also super-intelligent. He was a valued member of the family and his abilities were often put to the test on the show which ultimately lasted for two seasons (65 episodes). The character even had an action figure. 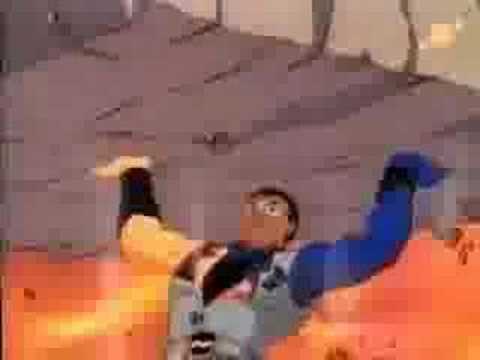 The animation for this 90's cartoon was quite noteworthy for it's time. There is also a bit of an Anime influence as the show's director was none other than Osamu Dezaki who was responsible for bringing a lot of animation and Anime to the world.